It was a fight to the bitter end, definitely a war … the kind of battle that would change not only the listening habits of hundreds of thousands of Hoosiers but also change the entire culture of Indiana’s capital city. And Naptown would never be the same! 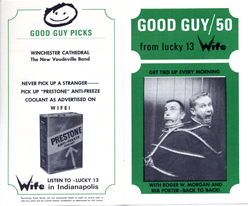 Two brilliant and fierce broadcasting competitors – Richard Fairbanks, who owned WIBC-AM 1070, the 50,000 watt radio behemoth, versus Don Burden, the young upstart broadcasting impresario who swaggered into town and launched the glitzy, promotion-oriented, though relatively low-powered, WIFE-AM 1310. How was the war fought? What were the strategies? Who were the personalities both in the limelight and behind the scenes? 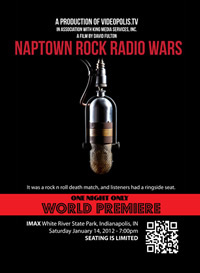 And who, in the end, would win Naptown’s Rock Radio Wars?